We know what you're thinking, but this title isn't referring to how Twitter is mostly populated by bots. 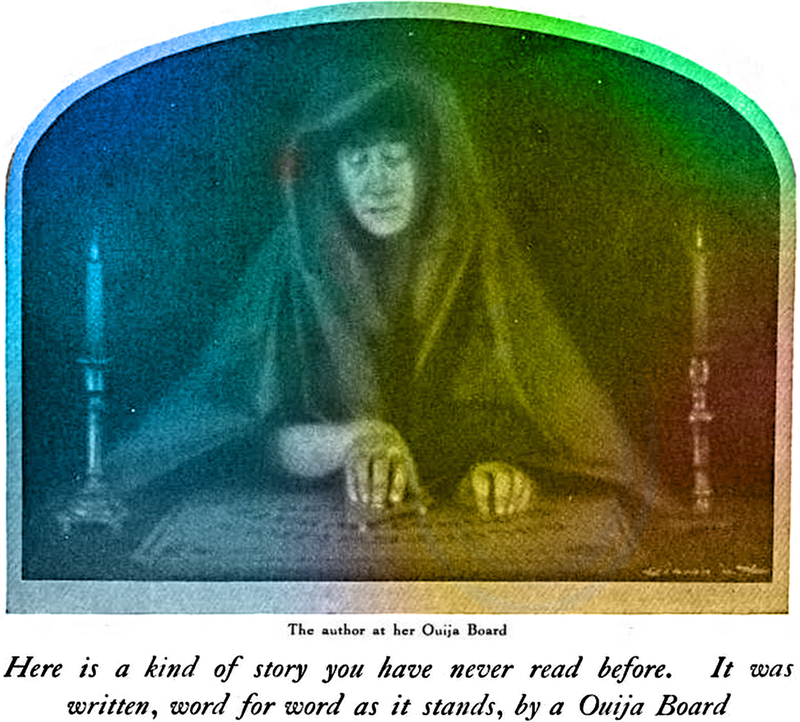 It's actually about Ouija communications, automatic writing, and the like. By Hester Travers Smith, 1919. Here's a precursor to Twitter bots. Voices from the Void: Six Years' Experience in Automatic Communications by Hester Travers Smith, 1919. "Where is the world drifting while you sleep?" 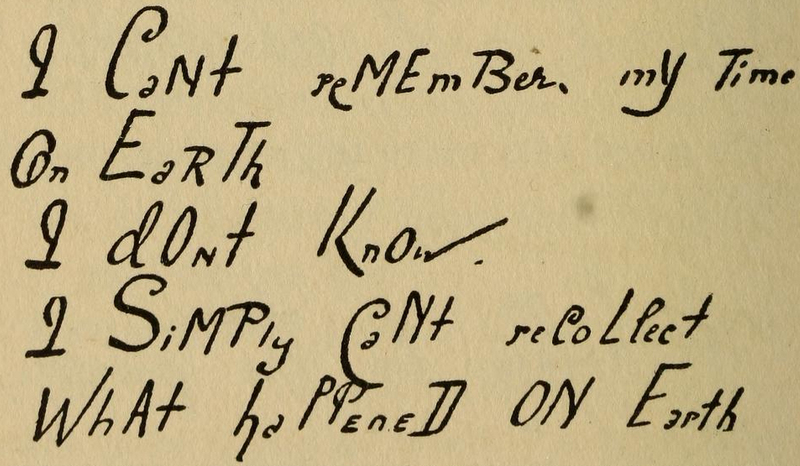 A question derived via automatic writing, from Life in the Circles by Anne Lane, 1920. This is a spirit communication via automatic writing, from I Heard a Voice, 1918. The text reads, "I can't remember my time on Earth. I don't know. I simply can't recollect what happened on Earth." This should be of interest: Seance Parlor Feng Shui. Here's a page from Seance Parlor Feng Shui, a book that the renowned philosopher of magic Robert E. Neale (author of The Sense of Wonder) believes to contain no less than the secret to world peace. Feng shui, an ancient study of utilizing spaces, is all-too-often neglected by masters of occult ceremonies. Collected in this book are séance parlor arrangements proven so wildly successful that entire books have been dedicated to analyzing the wonderment they generated. The book deals only with designs that have earned widespread fame. The blueprints here represent such minute attention to detail, such focused intention on powerful results, that quietly meditating upon them as works of art reveals them to be sacrosanct. 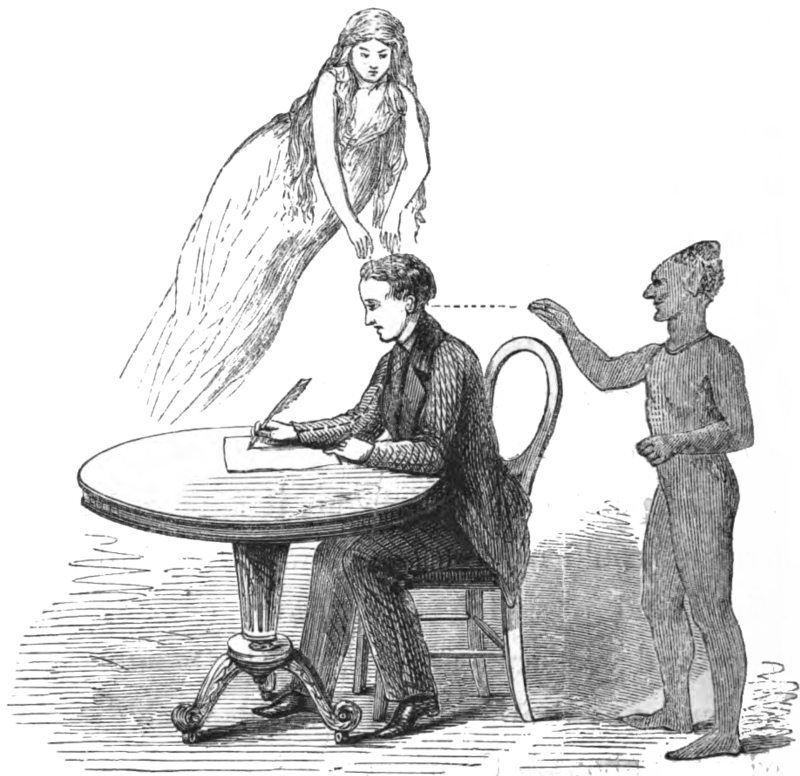 Say what you will as a believer or a skeptic; the séance rooms of Spiritualism reveal intelligent design. 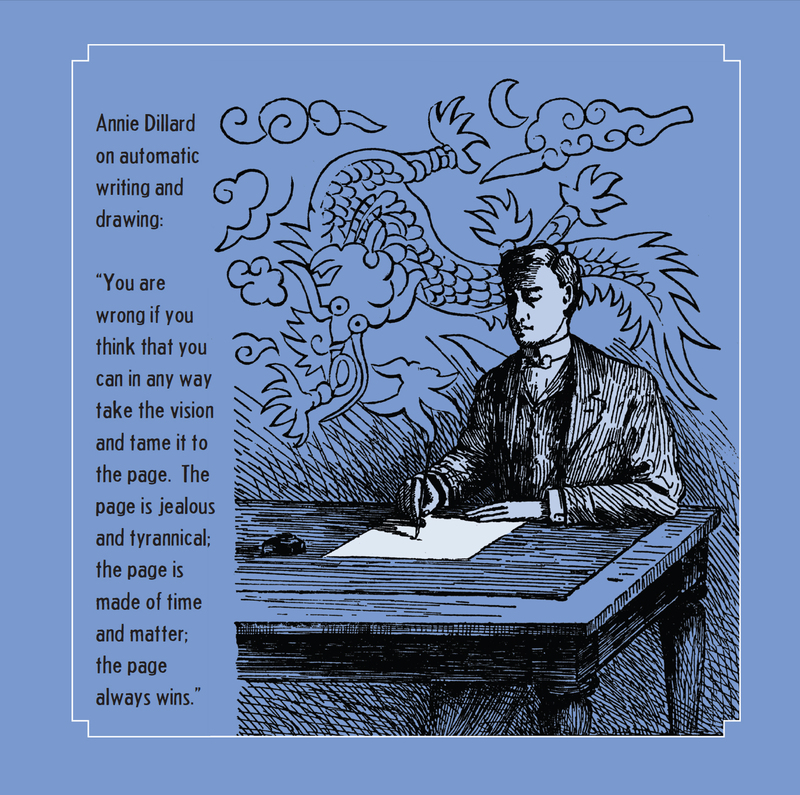 The text reads: Annie Dillard on automatic writing and drawing: "You are wrong if you think that you can in any way take the vision and tame it to the page. The page is jealous and tyrannical; the page is made of time and matter; the page always wins."